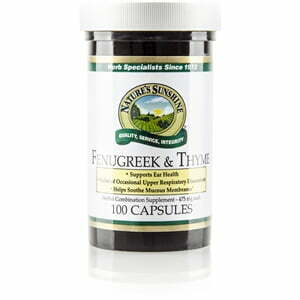 Nature’s Sunshine combines the health benefits of fenugreek and thyme to nourish several of the body’s systems. 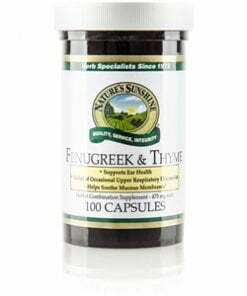 Containing mucilaginous compounds and selenium, fenugreek provides tissue support as well as antioxidant properties. Thyme, the other herb in the Fenugreek & Thyme formula, nourishes the respiratory system.